TAMPERE, Finland – A quick look at the Finnish bicycle market gives a dull impression. The market seems to be shrinking, but a closer look shows some promising signs. According to estimates by industry insiders, the total domestic deliveries of bicycles to Finnish retailers decreased by roughly 15% in 2012. That is quite a big drop and needs some explanation. One reason for the decline in domestic deliveries in 2012 is the excess stock at retailers. In 2011, deliveries were higher than in an average year and also bigger than the actual demand. As a result of that 2012 volumes show a correction in stock levels. In Finland the retail sales of bikes is roughly divided between two distribution channels. 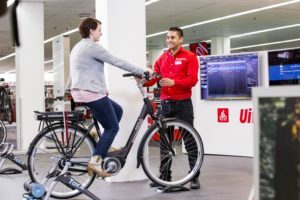 The traditional IBD channel, bicycle and sports shops, mainly sell branded bikes and offer high levels of service. This channel sells just over 50% of the bicycles annually. The other half of the bikes is sold via mass markets mostly carrying their own brands. There are more and more consumers, who want to have better bikes with high-end features, and are prepared to pay more. This group of cyclists has given a boost to the retail market. 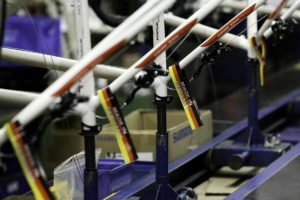 The sales of road bikes has increased and IBDs have been able to increase their sales in volume but, more importantly, also in euros. The cheap road bikes are not popular anymore in Finland. Consumers are not interested in anything below €1,000, the starting point in this segment is now somewhere around €1,200 and up. The number of people who practise cyclocross is very small in Finland. This group is estimated at less than 100 cyclists. However, the market volume for this segment is much larger, as retailers sold some one thousand cyclocross bikes. It’s a type of bike very suitable for Finland, with ample room for mudguards and even winter tires. The 29er boom refreshed the sales of mountain bikes and most enthusiasts have swapped their bikes for a 29er. * The estimated figures of 2012 are based on custom statistics of January – July 2012. Unfortunately the market for everyday city and trekking bikes was not that appealing. As in many other European countries the weather in spring and early summer did not favour the bike industry. Retailers selling bikes in the €300 – €600 range suffered from the bad weather and change of the demand. All in all, the more expensive bikes enjoyed good demand. Those retailers, who have expertise in this segment, benefited from the changing market. Generally the IBDs are quite happy about the 2012 season. Most suppliers of branded bikes report stable or increased sales related to 2011. It seems that the non-branded bikes from mass markets have took the biggest hit in the loss of market. The sales and cycling season is already very short in Finland, but this year it was cut short even further, thanks to the long winter and rainy weather. There were not that many really good cycling days and those who are not so serious in cycling, did not take their bikes out at all. In general the acceptance of cycling is very high. However, not all factors are positive. The euro crisis and its consequences loom above the market in Finland. Generally speaking the bicycle is regarded a cheap means of transportation and more people may start to use it when their budget gets tight. Another opinion is that people don’t even buy new bikes when their money is short. Anyhow, forecast ordering by the retailers is on the same level as usual and they are preparing themselves for a normal sales season. 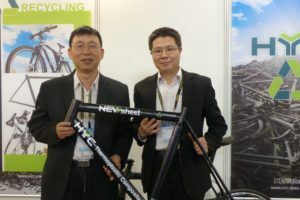 The sale of e-bikes is estimated at 3,500 units in 2012. 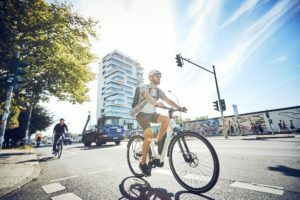 The number of e-bikes sold is still small compared with other countries. It is more or less 1 % of total bicycle sales in Finland. The volume remains rather small and is only growing in small steps. Not many Finnish retailers have sold more than 10 e-bikes in 2012. Those in business have been pondering the reason for the lack of demand. 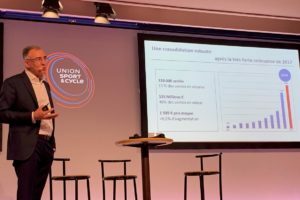 Retailers complain of the prices; the consumers do not want to jump from €500 bicycles to €2,500 e-bikes. Additionally the e-bike is considered to be a vehicle of elderly or disabled people.